Rod Aycox, partner of reputed mob figure, gives $2,500 to Attorney General Brad Schimel. 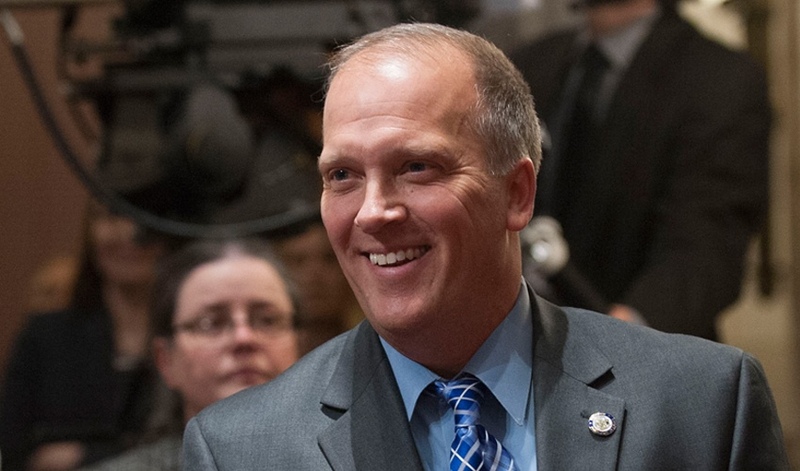 State Attorney General Brad Schimel accepted a $2,500 campaign donation from a predatory loan king who was in business with a reputed mob figure, records show. Schimel accepted the donation from Rod Aycox, of Alpharetta, GA, on March 15, campaign finance records show. The donation is listed in Schimel’s latest campaign finance report. Aycox is the founder and chief executive officer of Atlanta-based Select Management Resources and routinely pumps big money into campaigns of candidates symapthetic to the exhorbitant-interest payday/title loan industry. Aycox also operates companies under the names LoanMax, Midwest Title Loans and several other brands, according to the Center for Public Integrity. The profits he derives from charging high interest rates to poor people allows him to live in luxury. Aycox, a former used car and insurance salesman, was at one time a co-owner with Alvin Malnik of Title Loans of America. Malnik is a reputed mob associate. By the way, did you know that Swiss francs were used to finance construction of the apartment buildings in Clairemont and Rancho Penasquitos. The gaming commissions of New Jersey and Las Vegas have made Malnik persona non grata . All lies, he says. In a January 1997 sworn deposition for a Georgia civil action, Aycox, then president and part-owner of Title Loans of America, revealed Malnik as an owner of U.S. Title Trust, which owns 50 percent of Title Loans of America. In the same deposition, Aycox reported that he is a 33 percent owner and Kenneth Partiss of Atlanta was a 17 percent owner. In 1983 Partiss was among 84 defendants indicted in Miami after a U.S. Drug Enforcement Administration drug-smuggling probe that covered 20 states. He was acquitted. OMG that is not as bad as if Schuldt, who is great big liar backed him.